Thanks for joining in the Annual Catalogue Sneak Peek International Blog Hop! Welcome to your Canadian leg of your tour! You may be joining me from Sam Hammond’s blog. You can continue along the blog hop to see more inspiring samples from around the world by using the list at the end of this post. The new Annual Catalogue has been released to Stampin’ Up! demonstrators and will be live to all crafters on June 1. It is fantastic! Fresh fun stamps, new InColors, and beautiful samples make this a catalogue one not to be missed! If you’re in Canada and looking for a copy, send me a message! I was fortunate to attend the OnStage Event (Stampin’ Up!’s bi-annual conference) in Salt Lake City in April, and won one of the new stamp sets from the Annual Catalogue: Baby Bear. I call this a 3-D stamp style. Three images overlap to create a detailed, realistic result that I love. I’ve had so much fun playing with this set. The best part is, the projects require very little additional accessories to create the wow factor! The stamp image does all of the work for you. Here are three projects I made using this set. As you can see, you are not limited to the “traditional” teddy bear colours. The colours layered here are Blushing Bride, Pink Flamingo (a new, unreleased In Color!) and Calypso Coral. Thanks for checking out these “hot of the press” samples. Remember, if you live in Canada and need of a demonstrator, let’s connect! I hope you enjoy the sneak peak and are inspired to get your own copy of the Stampin’ Up! Annual Catalogue. Next up is the talented Bruno Bertucci from Australia! 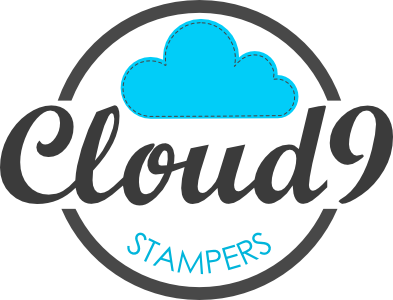 This entry was posted in blog hop, CLOUD9, project ideas and tagged Annual Catalogue, Baby Bear, Baby Card, card ideas, cardmaking, Catalogue, Cloud 9 Stampers, craft, crafts, Edmonton, Lynsay, Sneak Peak, Stampin' Up!, stamps. Bookmark the permalink. Awww… thanks Brenda! Glad you like them! Thanks Maggie. Isn’t that stamp set incredible? WOW! Lucky you to win this adorable stamp set. I like all 3 of your cards, but my favorite is the last one — the neutral colors. Which neutral colors would you use for a brown bear? Thanks for sharing your creativity! Thanks, Lynsay! Can’t wait to get this stamp set. awesome! awesome! awesome! I’m scared to try using this set – I can never line them up! How amazing is this stamp set???????? Can’t wait to get it! I LOVE your work- what beautiful cards! Thanks so much! I can’t wait to see all of the amazing things you do with it. I want it!!! Perfect colors…adorbs!